The Asian Development Bank’s Asian Development Outlook report which was recently released has projected the economic development of Afghanistan to be 2.5% in 2019 and 3% in 2020. The report says that growth in Afghanistan slowed in 2018 as the country was ‘weighed down’ by a devastating drought, continuing security challenges and political uncertainty, and negative spillover from neighboring economies. Fortunately, inflation has slowed despite currency depreciation throughout 2018. In terms of supply, growth in agriculture shrank from 3.8% to 2.0% as drought affected majority of the country, and this led the wheat production to fall by 71% in rainfed fields and by 6% in the much smaller irrigated area. The silver lining was that Afghan industry picked up to grow by 2.0%, and services expanded by 2.5%, however the statistics are unchanged from the previous year. Public consumption and investment both increased slightly on higher government budget expenditure in 2018, the report notes while it added that private consumption is estimated to have contracted as continued drought squeezed rural incomes, while business uncertainty caused private investment to decelerate. In terms of trade, net exports continued to weigh on growth, and the ADB estimates say that the net exports were ‘probably aggravated by the re-imposition of international sanctions on neighboring Iran’ which is one of Afghanistan’s main trade partners. “Inflation slowed considerably from 5.0% in 2017 to average 0.6% in 2018 as food inflation fell steeply in the course of the year to average 1.0%, and as food imports outweighed the shortfall in domestic food production. Nonfood inflation was quite moderate at 2.3%, especially considering large increase in global oil prices during the year and substantial currency depreciation”, highlights the outlook report on inflation. Reasons for depreciation in Afghani currency were attributed to regional currency pressures, informal outflows of US dollars to Iran, and global strengthening of the US Dollar, against which the Afghani fell by 8.6%. Domestic revenue is estimated to have reached 11.7% of GDP in 2018, and ADB report attributes this to the enhanced tax administration and compliance, as well as measures against corruption in the customs department. Foreign aid forms a major 56.3% of budget revenue and 15.1% of GDP, to bring total revenue and grants to the equivalent of 26.4% of GDP. Government expenditure increased to equal 26.8% of GDP, with development expenditure at 7.8% of GDP. The operating budget deficit excluding grants increased to equal 6.1% of GDP because of higher security requirements and spending on pensions and civil service wages. The overall budget balance was estimated at deficit equal 0.4% of GDP. Public debt was up slightly from 7.0% of GDP in 2017, estimated to equal 7.2% of GDP in 2018. Growth in broad money supply (M2) accelerated from 4.1% in 2017 to 9.0% in 2018 while credit to the private sector grew by 3.5% in 2018, but lending risks under the diffi cult security situation and poor macroeconomic conditions keep outstanding credit to the private sector very low at the equivalent of only 3.5% of GDP. In Afghanistan, most transactions are in cash, making currency in circulation amounting to about 17% of GDP. Fortunately, nonperforming loans declined slightly to 12% of total loans but “Dollarization” became high, with the share of foreign-denominated loans at about 60%. Moreover, the current account deficit widened from 33.0% of GDP in 2017 to 34.5%. The merchandise trade deficit widened to 32.4% of GDP in 2018 from 31.2% in 2017 as imports increased by 4.3%, to more than off set a 11.9% expansion in exports supported by currency depreciation and improved market access to India by air. Merchandise exports still remain low at only 4.4% of GDP. Gross international reserves rose from $8.1 billion in 2017 to $8.3 billion, or cover for 11.2 months of imports, as development partners financed large trade and current account deficits. “The country’s weak external position has necessitated government policy that strictly limited external with external debt in 2018 estimated at only 6.7% of GDP”, the report notes. GDP growth is expected to recover to 2.5% in 2019 and 3.0% in 2020, but political and security uncertainties “cloud the outlook”, as Afghanistan approaches elections in September 2019 for president, provincial councils, and district councils. “Business confidence stands to improve if peace talks begun in late 2018 between the US and the Taliban prove to be productive”, as per the report. But, public investment will become more challenging as inflows from development partners trend downward. New air corridors to the People’s Republic China and India—and the Lapis Lazuli route to Europe inaugurated on 13 December 2018 were written as a promising effort to boost exports and improve the trade balance. Inflation is projected to increase to 3.0% in 2019 and 4.5% in 2020 with the impact of 2018 currency depreciation and further depreciation expected in 2019 and 2020 as inflows of assistance slow. However, food prices are expected to remain low as agriculture recovers. 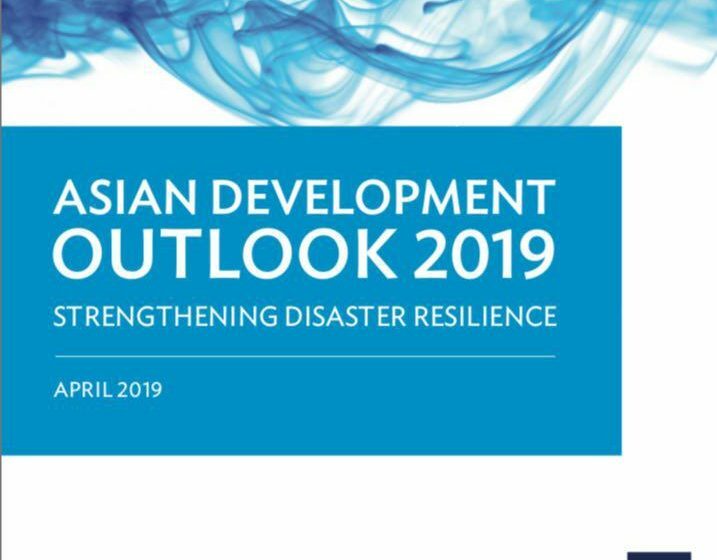 ADB has expressed concern over Afghanistan’s growth prospects being constrained by a number of factors beyond security, such as poor connectivity, poor access to limited energy supply, low agricultural productivity, and heavy reliance on overseas development partners. Addressing infrastructure gaps can improve opportunities for trade as well and enhance regional economic cooperation and integration, the better to realize Afghanistan’s potential as a transit hub connecting Central Asia with South Asia and beyond, suggests the report. Afghanistan also needs to fill the gap in its severe infrastructure deficit, as there is disparity between urban and rural areas. Citing the Afghanistan Living Conditions Survey, conducted in 2016 and 2017, the report highlighted that only 36% of the population has access to safe drinking water nationally, including 75% of urban households but only 25% of rural households. Only 31% of the population is connected to the electric grid, the primary source of electrical power in urban areas with penetration at 92%, but reaching only 13% in rural areas. Only 63% of the rural population lives within 2 kilometers of an all-season road, and road density is estimated at a low 15 kilometers per 100 square kilometers of territory, below densities achieved by Afghanistan’s neighbors. Further the quality of infrastructure is generally poor. “The government should accelerate its implementation of ongoing construction projects and upgrade its capacity in the design, implementation, and monitoring of investment projects. The government should seek sustainable infrastructure financing and look at innovative approaches to increase access to funding. Financing needed for the National Infrastructure Plan, 2017–2021 of about $1 billion annually exceeds available resources from development partners, and domestic final resources for new investment are limited”, the outlook on Afghanistan concedes.